Furies of Calderon follows the story of Tavi, an orphan raised by his aunt and uncle on his uncle’s steadholt. Tavi’s different from everyone else in this world, as while everyone else can command furies (magical creatures that correspond to one of the elements), he can’t – he doesn’t have any furycrafting powers at all. The story also follows Tavi’s aunt and uncle, siblings Isana and Bernard, as well as Amara, an Academ who is studying to become a Cursor – in other words, one of the intelligence agents of Gaius Sextus, First Lord of Alera. The book starts out following Amara and her mentor, Fidelias, as they infiltrate a mercenary camp – however, things go sour rather quickly, with Fidelias and Amara getting captured by the same mercenaries they aimed to infiltrate. In a surprising twist, it turns out Fidelias was working with the mercenaries, and is in fact a traitor – and Amara is left to escape on her own. Meanwhile, in Bernardholt, Bernard and Tavi are attacked by a Marat warrior while trying to rescue one of their wayward sheep. The tribes of the Marat and the people of Alera are not on good terms, and Bernard ends up fighting the Marat warrior and their warbird. While Bernard is able to kill the warbird, he ends up injured in the process. Tavi runs to find help, encountering Amara on the way, and the two end up having to seek shelter from an unexpected furystorm that blew in. Tavi and Amara really aren’t having a good day, are they. Without giving away too much more of the story, let’s just say things get worse for Tavi, Amara, and friends before they get better – there’s more fighting against the Marat, plus fighting with neighboring steadholders who capture Amara as a slave for their steadholt… to put it simply, there’s a lot of fighting. Things do get better for our heroes, however – but again, I don’t want to give away the entire story. 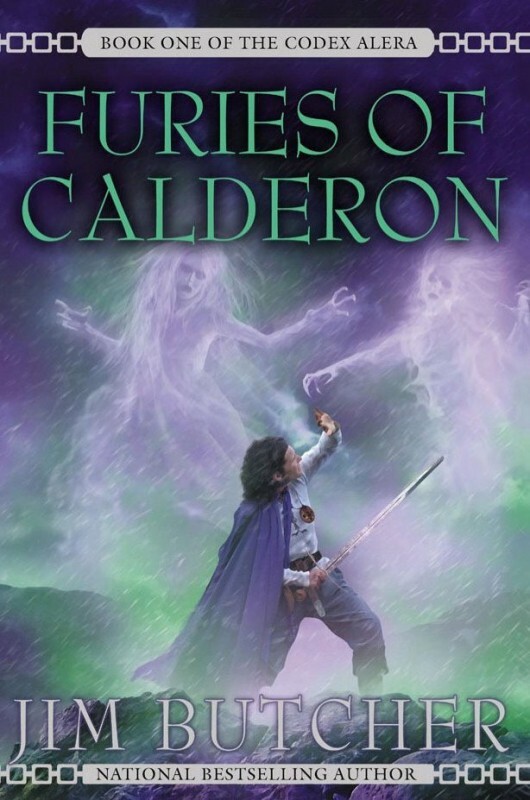 Furies of Calderon was an enjoyable read – while I ended up enjoying the later books in the series more, this one wasn’t bad on its own. This book feels like the first season of some television shows, where the writers are trying to find their footing and get into the groove of the story. It feels like this is what Butcher was dealing with as he wrote Furies of Calderon, but that doesn’t make it a bad book at all. There’s a lot of action in this book, and a lot of tension, from a lot of angles. I felt like I was almost on the edge of my seat during some sections of the book, and that combined with getting to know the characters bit by bit helped engage me in the story more. I found myself more than once whispering things like “oh no Tavi, don’t do that” to my Kindle as I was reading. (I don’t often do that to books!) 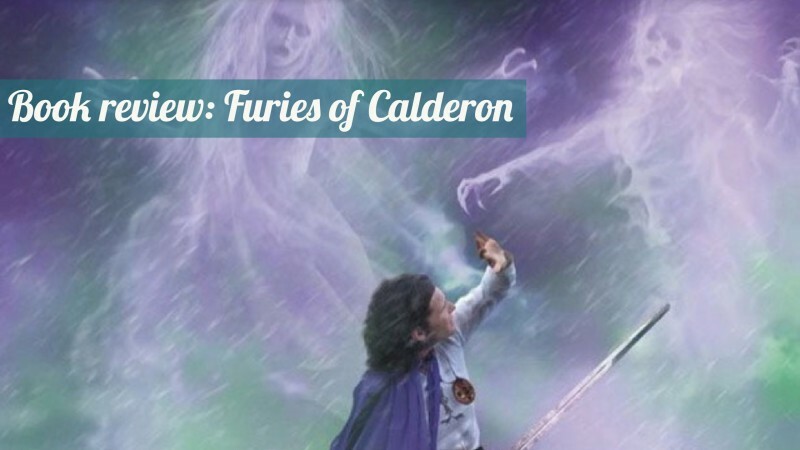 Some readers feel this book is a bit slower than the others in the Codex Alera series, but even if the book does feel slow, it’s a good read – and a good introduction to a great fantasy series.